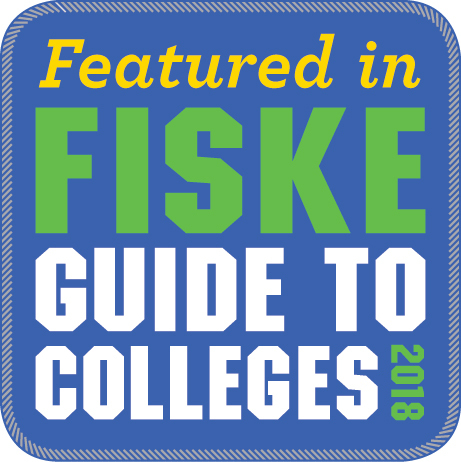 Students praise Miami's accomplished faculty and institutional resources in the 2018 Fiske Guide to Colleges. 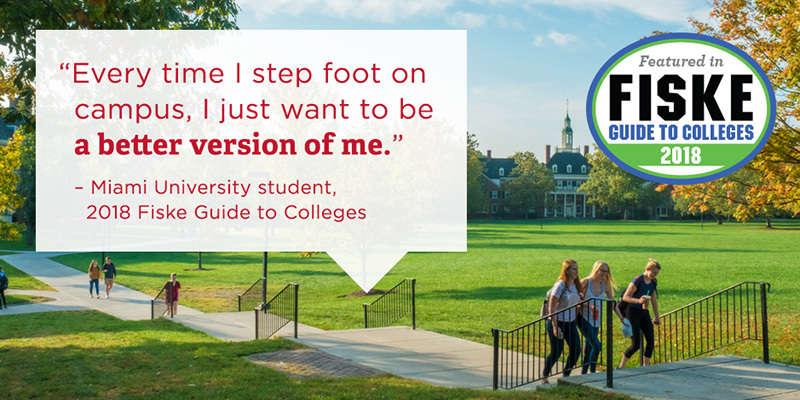 Miami University’s strong academic reputation, dedicated and accomplished faculty, high-caliber students, and high graduation rates are praised in the Fiske Guide to Colleges 2018, a guide of the “best and most interesting” schools. The guide commends Miami for its strong emphasis on liberal arts and its opportunities for research, travel abroad and leadership. This year’s edition includes information on more than 300 four-year universities out of more than 2,200 considered. Miami is one of 13 Ohio public and private universities featured in the guide. Fiske refers to Miami’s strength in providing experiential learning opportunities with requirements promoting competency in written communication as well as critical-thinking skills. Frequent campus events and special guest speakers encourage engagement on issues of difference, diversity and privilege. Public university strong in architecture and interior design. Public university strong in business. Major university strong in music. The Fiske Guide to Colleges was first published more than 30 years ago. Miami consistently appears among featured schools.